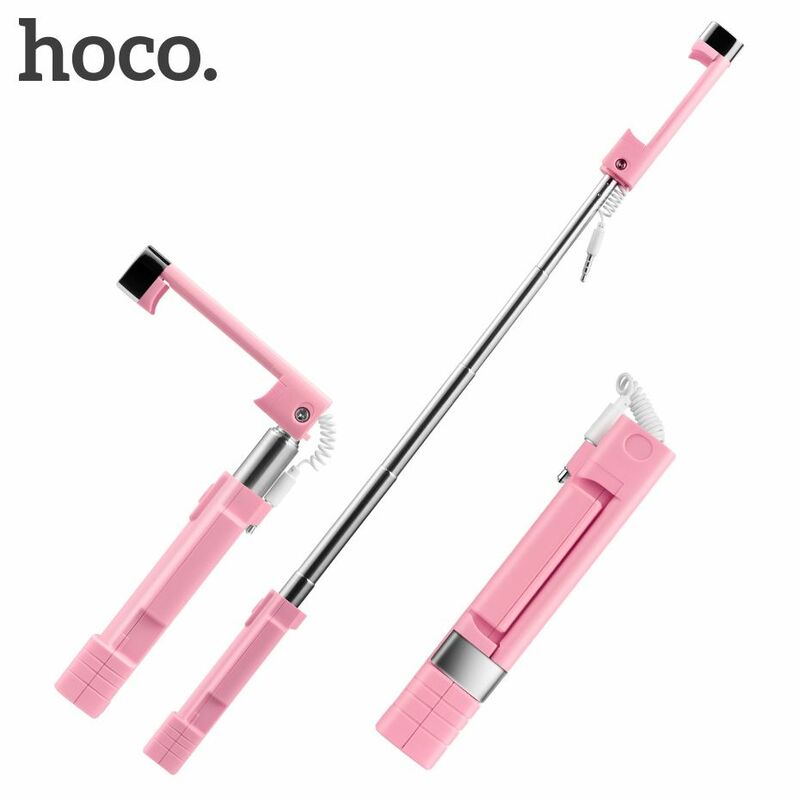 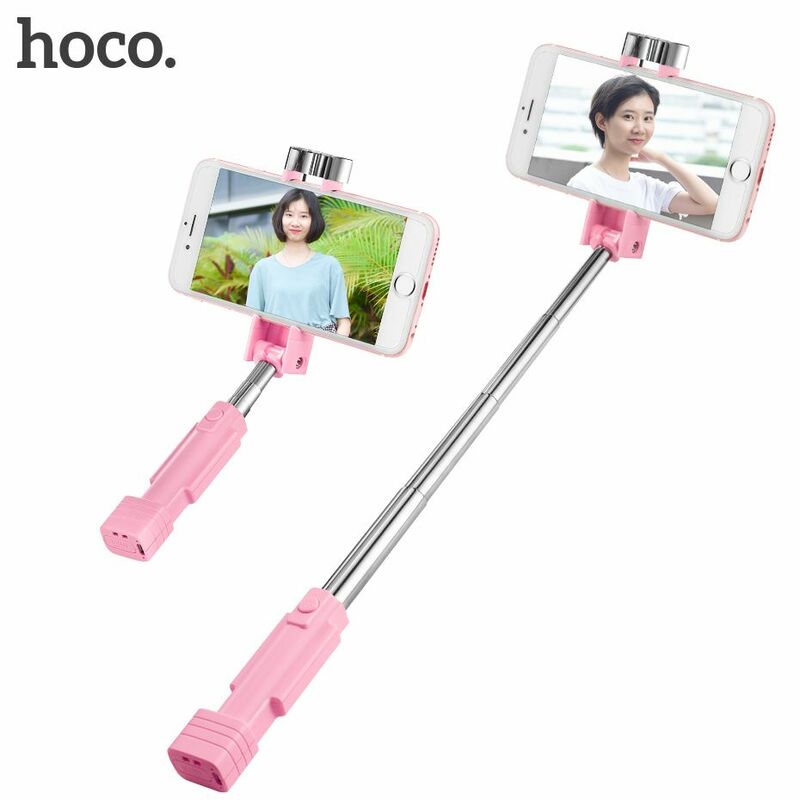 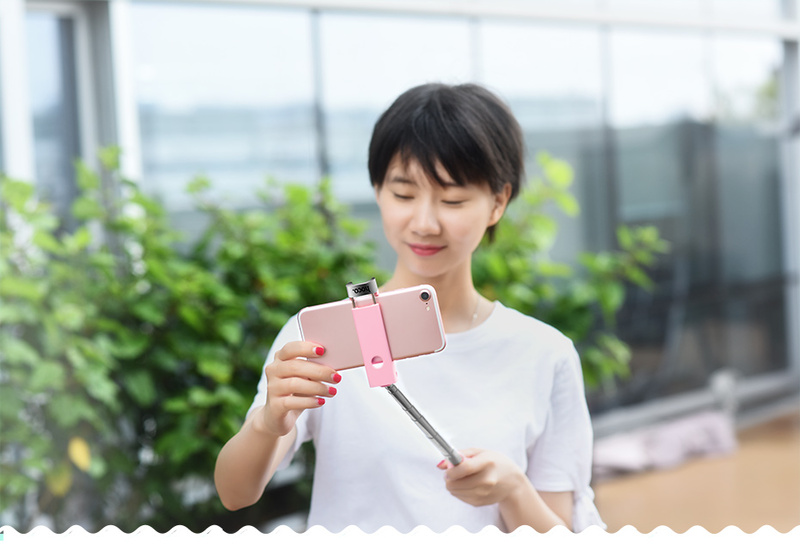 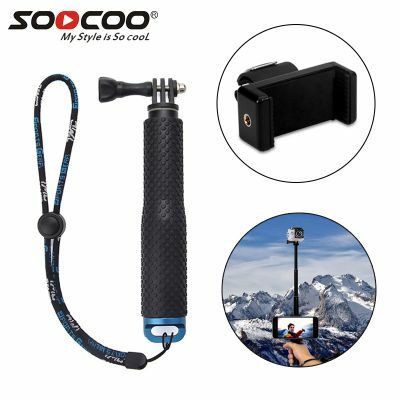 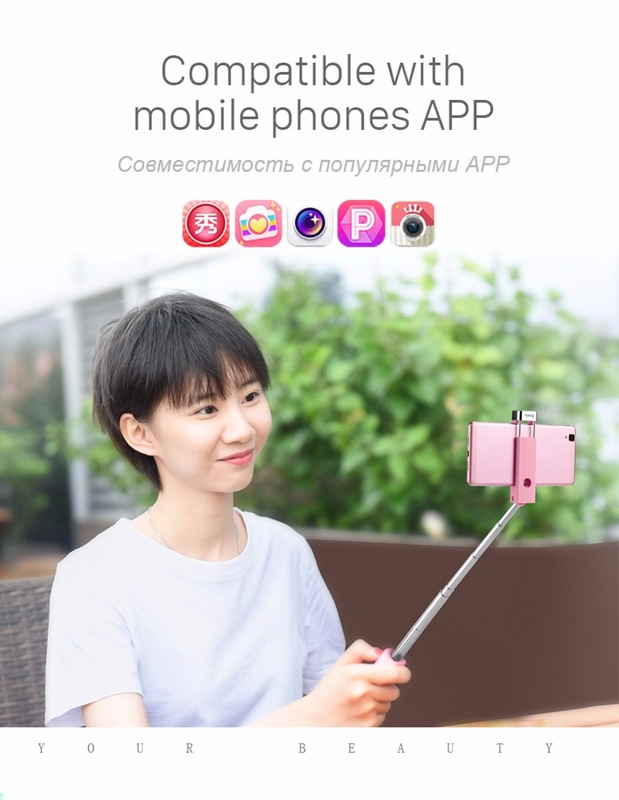 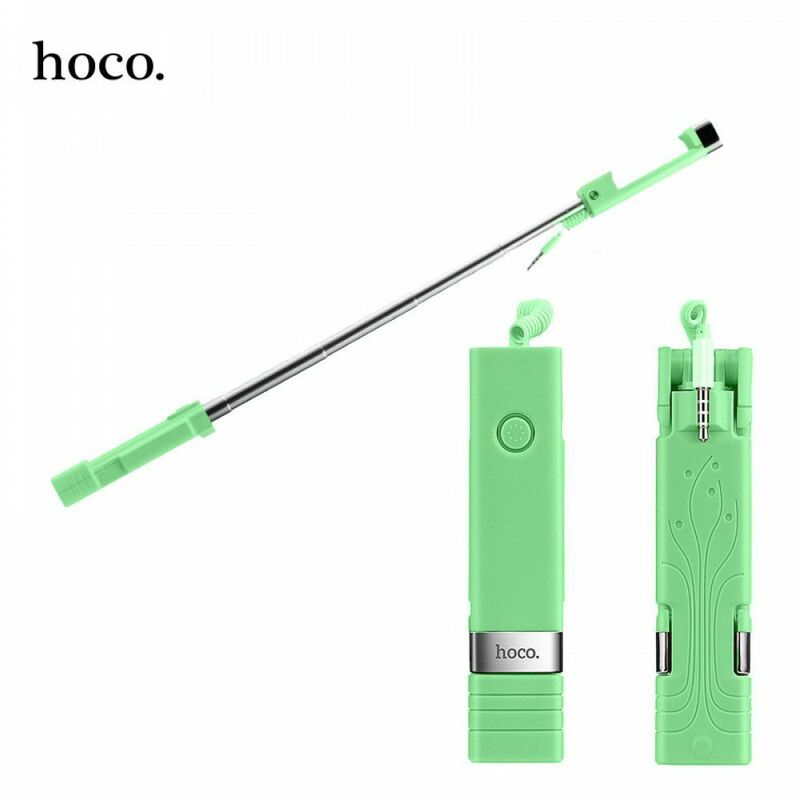 One-piece telescopic structure, rotating in 0-180 degree.Stainless steel telescopic rod, stretched in 7 sections.ABS handle with pattern texture, offering a comfortable hand feeling.Convenient to take photos and video recording.Simple and easy to operate, quick release with your smartphone.It is an ideal companion for your mobile phone during outdoor activity. 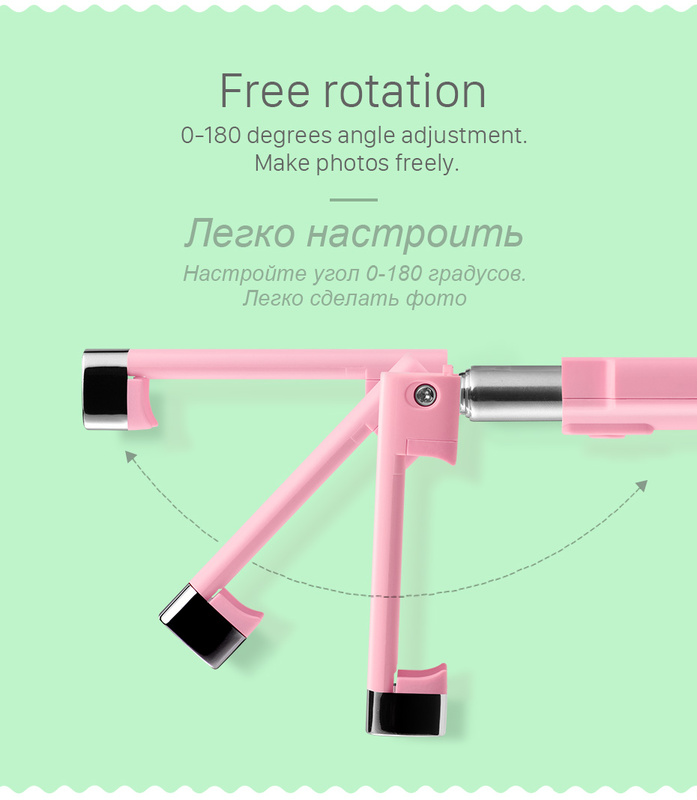 1.One-piece telescopic structure, rotating at 0-180 degrees. 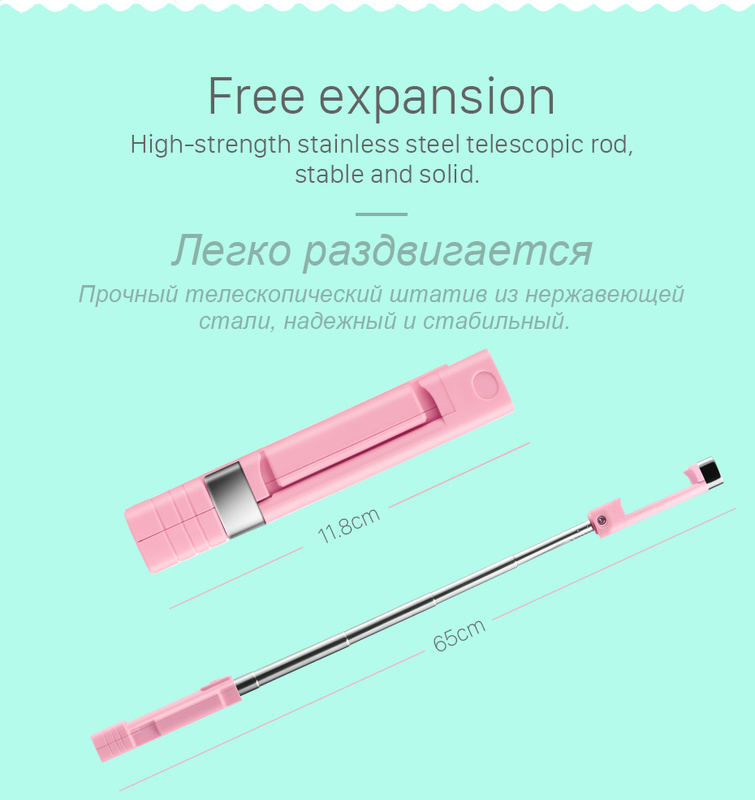 2.Telescopic stainless steel rod, stretched in 7 sections. 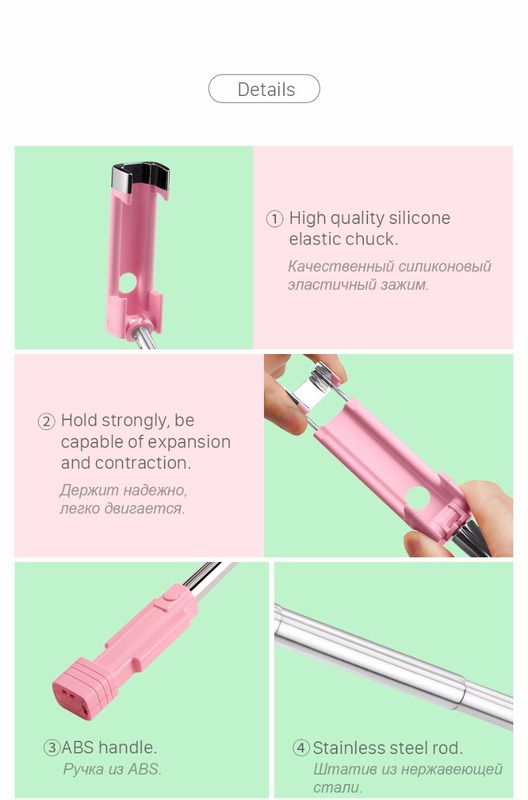 3.ABS handle with textured pattern, which offers a comfortable hand feeling. 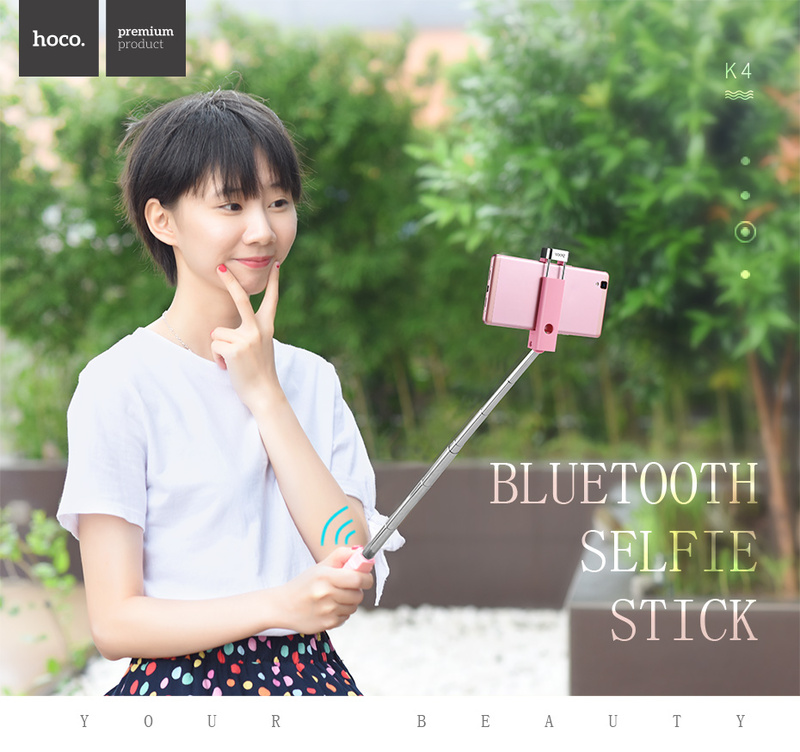 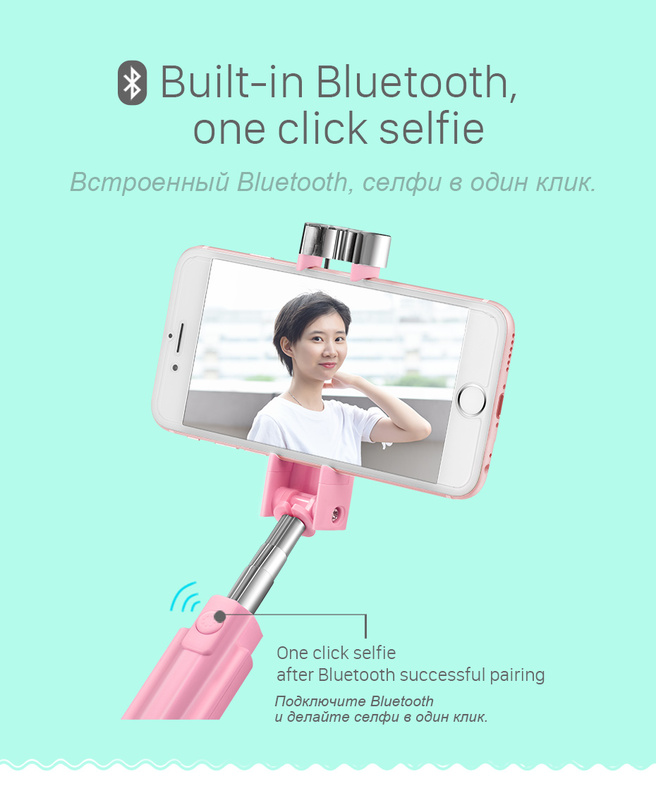 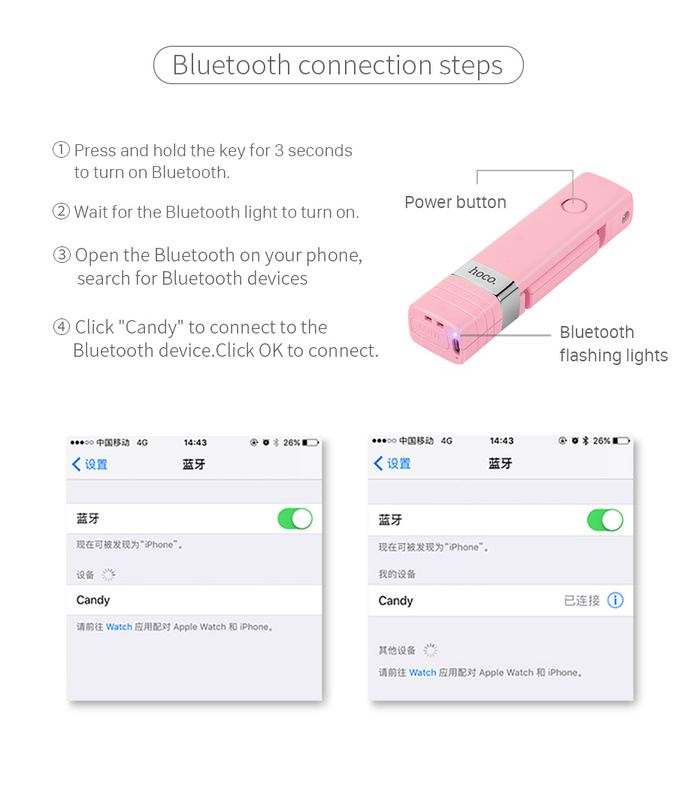 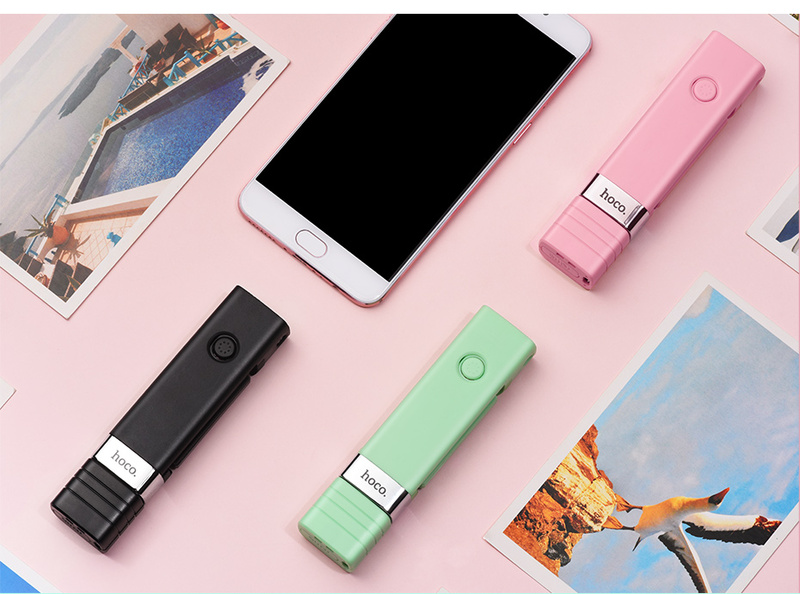 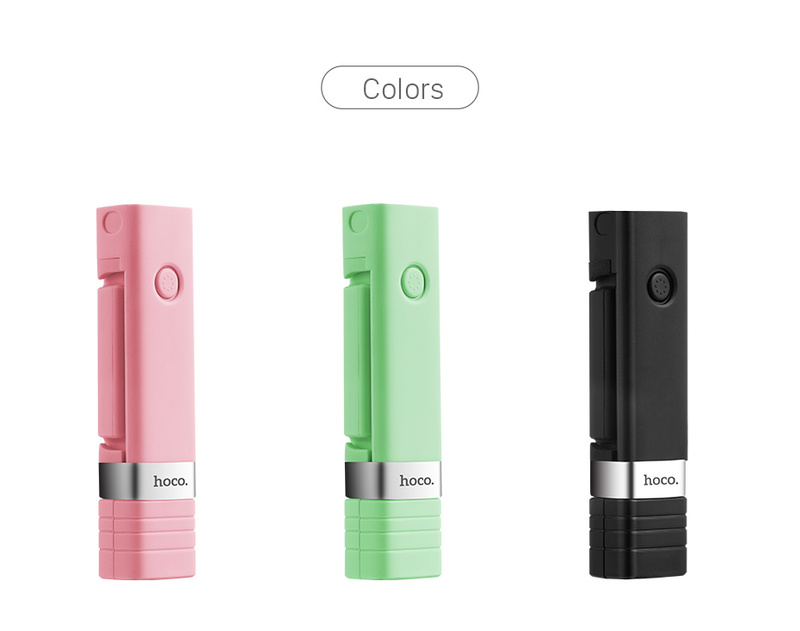 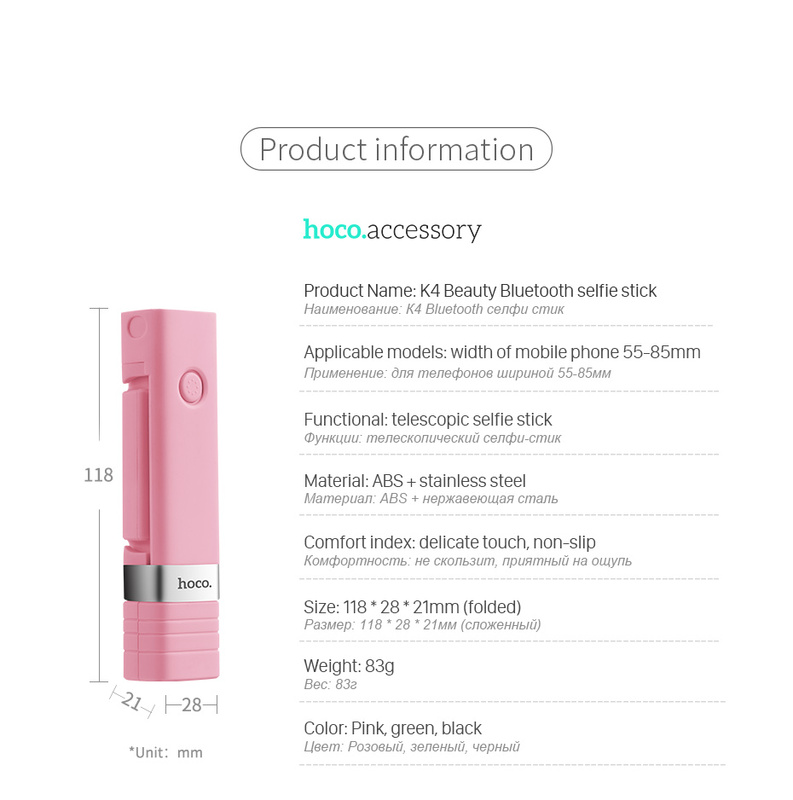 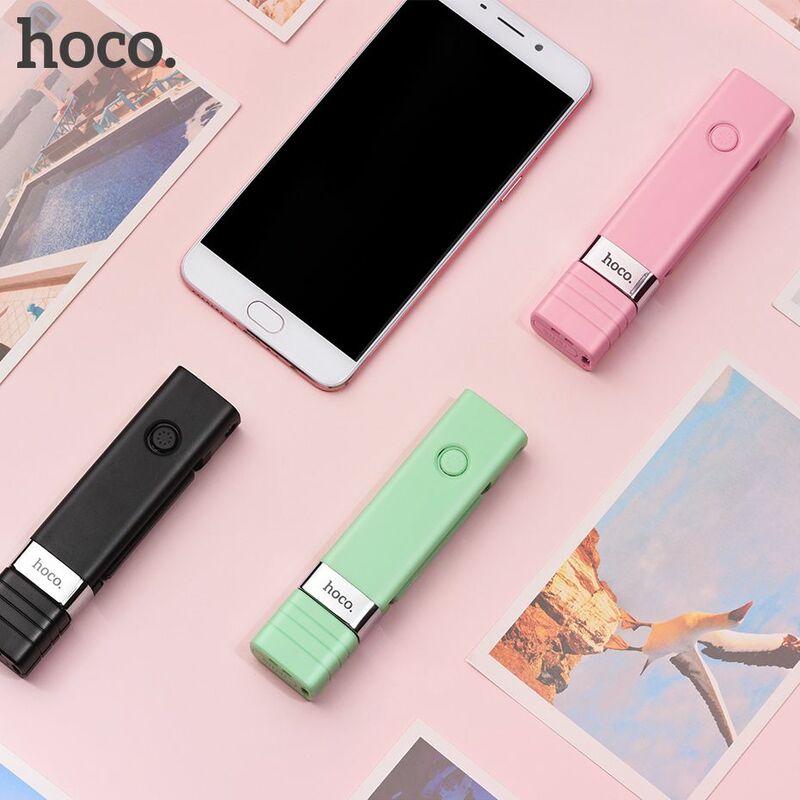 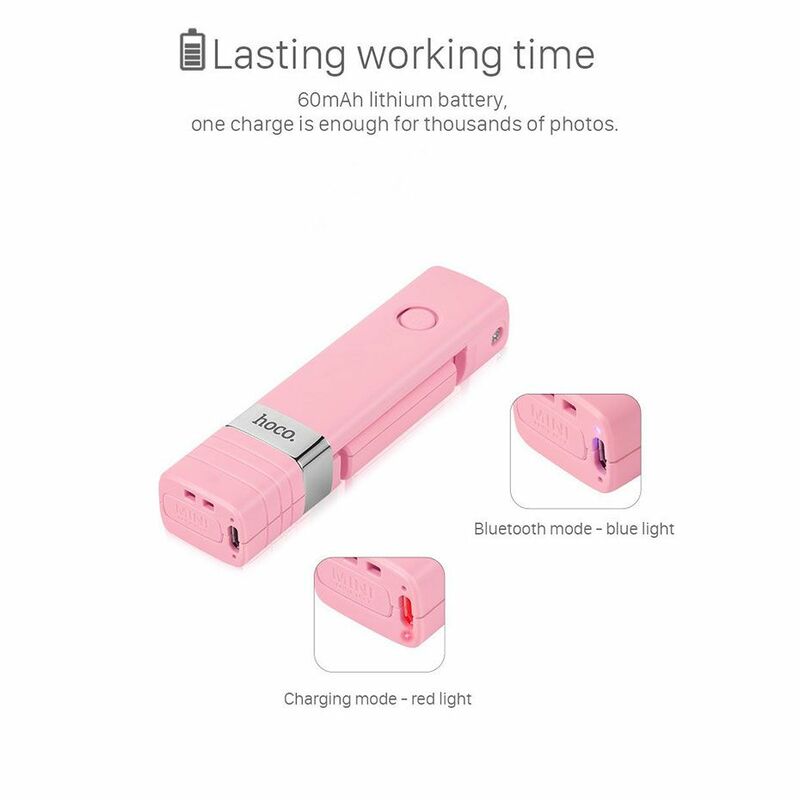 4.Bluetooth 3.0 press and hold the On / off button for 3 s, and the blue breathing light will flash, meaning the wireless function is enabled to pair with a mobile phone. 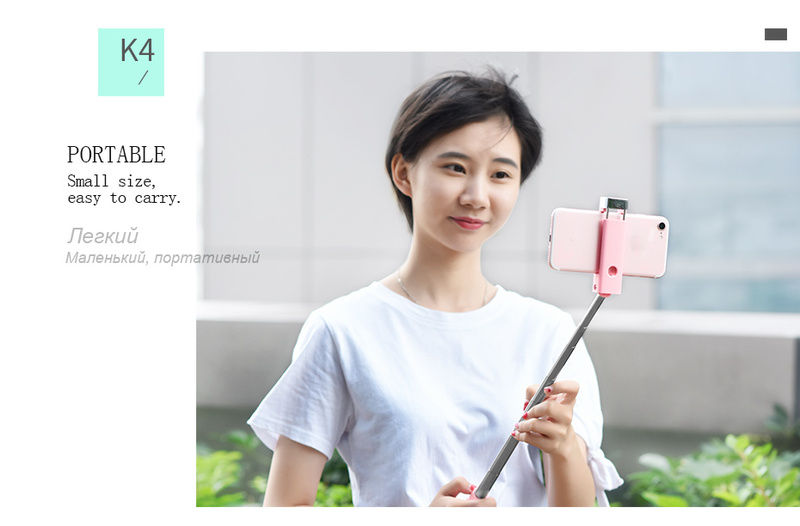 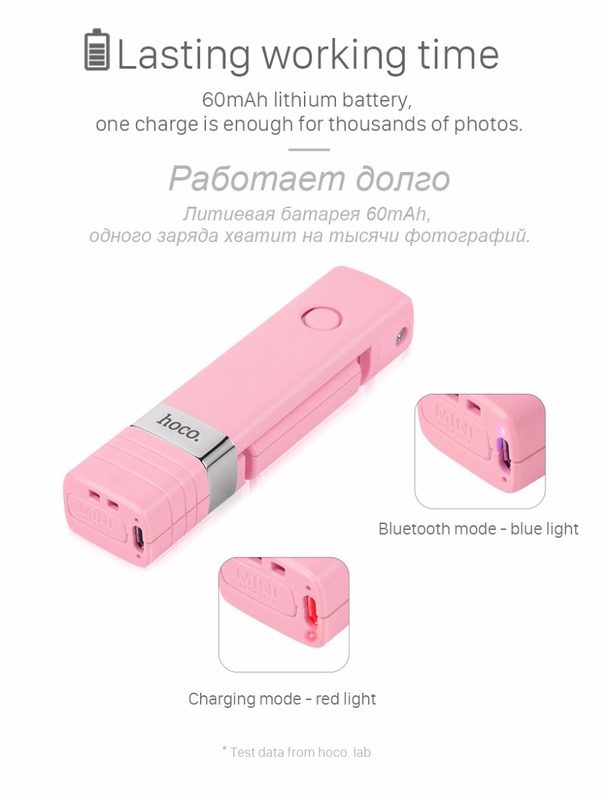 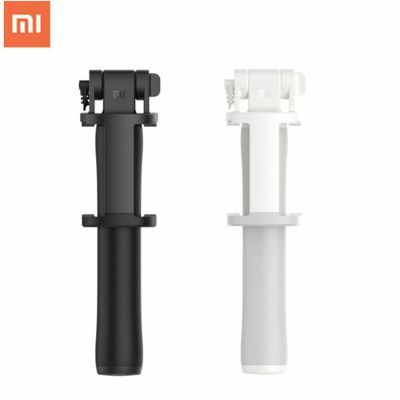 5.Built-in with 60 mAh battery, which offers 10000 times of taking picture after full charge.